The Gay Agenda uses Broadway musicals as a tool to subvert America. Seen here are Micah Bucey and Nicholas Williams. 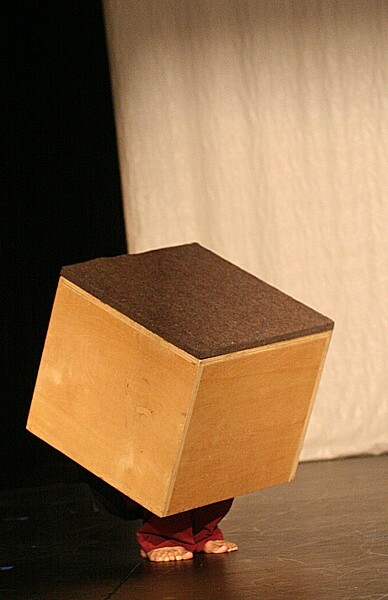 The Disappearing Woman proves thinking outside the box is important. 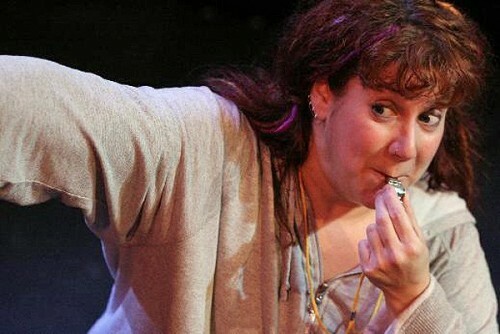 Circumferance by Amy Salloway (seen here) explores the roots of every weight watchers dilemma. Photo by Scott Pakudaitis. Created by Eliza Ladd and Little Big Tree Productions, Elephants and Gold strikes at the heart of man’s relationship with our planet. 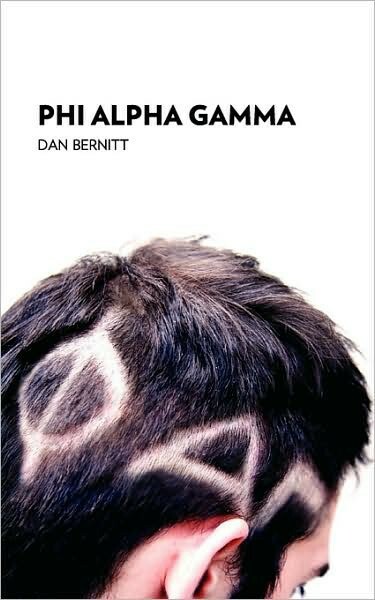 Dan Bernitt talks about Fraternity homophobia and gay bashing in Phi Alpha Gamma. Working a hellish job and maintaining relationships is not a challenge for children in Graveyard Shift. The artists of the Berkshire Fringe Festival take their work very seriously. Ever wonder what sort of topics speak to younger theater-goers? It's really pretty simple: it's the issues they deal with every day. 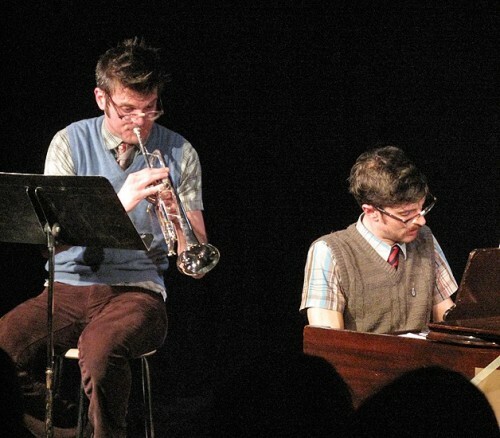 The Berkshire Fringe is young, dynamic and has become their unofficial voice. But here's some news: don't stick this three week event into some "too experimental for me" box. You'll see plenty of open-minded grey hair here, too. And everyone's having a great time. Topical theatre can be a lot of fun. Just ask Bertolt Brecht and Kurt Weill. 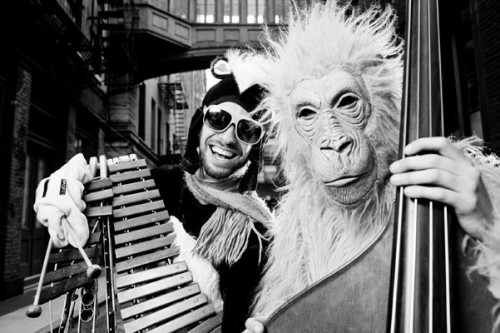 Bazaar Productions, organizers of the Berkshire's Fringe Festival invite residents to "take a risk and try something new" for a change. For their fifth season, the BFF offers six groundbreaking original works of theater, dance and music by emerging artists from across the United States. The 2009 festival will take place from July 27 to August 17 in the Daniel Arts Center on the campus of Bard College at Simon's Rock just minutes away from downtown Great Barrington. This season hosts six innovative theater and dance artists from as far away as Minneapolis, and as close to home as Great Barrington. They take on unusual topics like making a living in a rural setting, or gastric bypass surgery, what it means to be human, and the gay agenda. The action-packed three week festival also includes :30 Live!, a free music series; EarlyStages, a showcase of new plays by emerging local writers; and numerous other special events including post-show artist discussions, free community workshops and a world-premiere staged reading of Hurricane Hotel by Berkshire-based novelist and artist John K. Lawson. 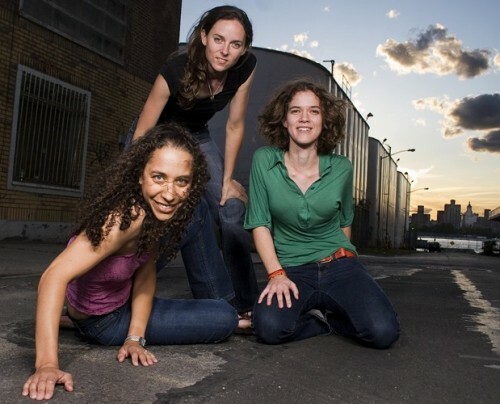 Since 2005, Bazaar Productions/The Berkshire Fringe has hosted more than 150 emerging artists including theater companies, dance ensembles and music groups. They have been labeled the 'enfant terrible' of Berkshire theater by the New York Times, because this is the one Berkshire organization that confronts current and controversial political, women's and GLBT issues without blinking. This years programs reflect aspects of life in America today you will see nowhere else. From an unflinching picture of young, lower-middle class life in rural America, to the struggle with insurance companies over gastric surgery, to horrific gay bashing, these performances often twist and shape elements of art, theatre, music and dance in provocative and delightful new ways. This unconventional organization has scheduled six major events and a host of minor ones, all at affordable prices. A subscription to all six costs just $69.00. If that is too rich for your budget, they have also added a Pick Your Own Price Opening Nights! "Make us an offer we can't refuse, or pay what you can," says co-founder Sara Katzoff, a deal that is valid for each of the six opening night performances throughout the festival. Here is a rundown of the six shows from their press release. Launching the 2009 season is Scored!, the Berkshire Fringe Festival's 5th Annual gala and extravaganza. Scored! presents a mini-marathon of dance, animation, film and visual art presentations inspired by an identical, six-minute soundscape composed by Fringe co-artistic director Peter Wise. The event celebrates the rich and varied approaches taken towards the creation of original work and features world-premiere presentations by playwright Joan Ackermann, animation artist Tyler Kinney, Spine Dance Company, Bazaar Productions Ensemble Theater, filmmaker Larry Burke and more. In addition to highlighting the work of dozens of Berkshire-based artists, the celebration also includes live video mixing, DJ and dance party, an open bar, delicious 'score' d'oeuvres, a paparazzi photo booth and a massive not-so-silent auction emceed by Fringe favorite, Lounge-zilla! (aka Fiely A. Matias). It all happens on Monday, July 27 and the doors open at 7pm. Premium and pay your age tickets are available. Written and Performed by Micah Bucey and Nicholas Williams. Dancers: Alissa Cardone, Lorraine Chapman and Bronwen MacArthur. Like the classic conjuring act in which a woman on stage is concealed and then revealed again, so are the dancer's bodies in The Disappearing Woman. Using gestures inspired by classic imagery juxtaposed against movements invoking the female condition today, the three virtuosic dancers explore how technology folds around us squeezing our interactions into new kinds of abbreviated exchanges. Digital skins at times blur and stifle and at other times accentuate and amplify the woman and their movements. Media becomes an enveloping, inescapable part of the body itself. Thu 7/30 7pm, Fri 7/31 9pm, Sat 8/1 7pm, Sun 8/2 8pm, Mon 8/3 8pm (Post Show Discussion). In an eclectic love letter to the city of New Orleans, Hurricane Hotel grabs a hold and takes us on a ride into the underbelly of a drowned city destined to be reborn. Adapted from the novel by Berkshire-based artist and author John K. Lawson, this world-premiere staged reading is directed by Aimee K. Michel, and features an original music score by Chris Marianetti (Fragile, 2008) and an ensemble of local actors. One performance only: Saturday August 9, 2pm. All performances, events and workshops take place at The Daniel Arts Center, Bard College at Simon's Rock, 84 Alford Road in Great Barrington, MA. Tickets are $15 to main events, there is also a "Pick your Own Price" for the opening night performances. There is also a low priced BFF Season's Pass that lets you see all six shows for $69. The workshops, :30 Live! performances and EarlyStages readings are free. For directions, tickets, workshop registration, and all other information please call (413) 320-4175, e-mail them at info@berkshirefringe.org or visit www.berkshirefringe.org. Major support for the 2009 Berkshire Fringe is provided by The Massachusetts Cultural Council and The Katherine J. Dinardo Fund.